Driving amongst snow-topped mountains, misty lochs, crumbling crofts and ancient castles, it’s a once-in-a-lifetime journey. This year, Rough Guide readers voted Scotland the most beautiful country in the world. 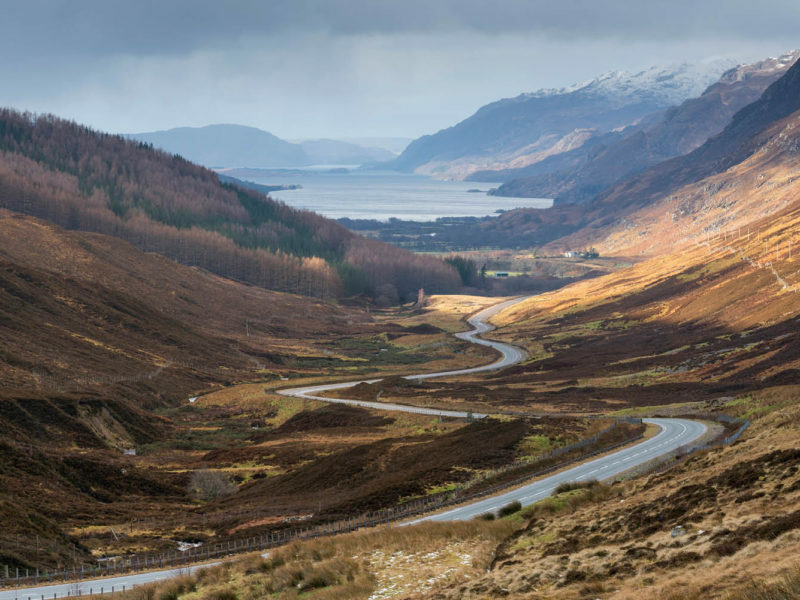 We’ve got our Scottish writer, Freya Herring, on the case, to find out why you need to put this wild, spectacular country on your bucket list. Here are 11 reasons to visit Scotland immediately. Scotland’s Castles have had cameo’s in some very popular Hollywood movies. 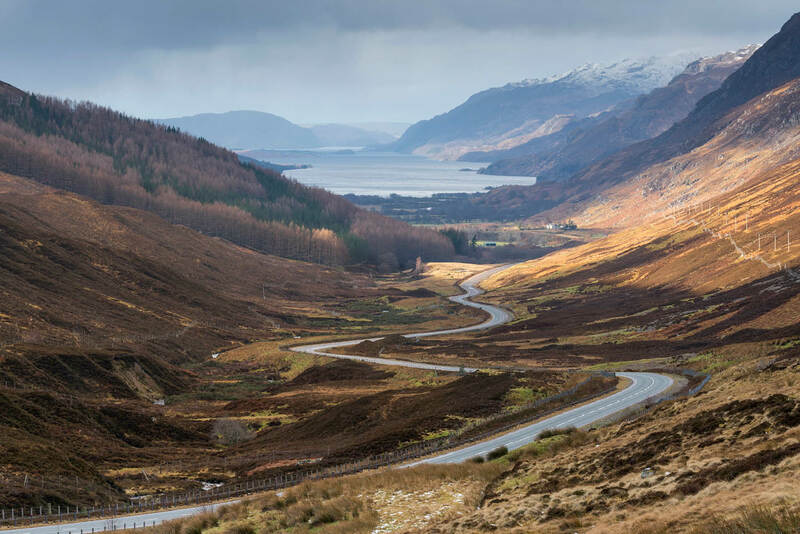 This gigantic loop of Scotland’s remote north is often called the best road trip in the world, and with damn good reason. Driving amongst snow-topped mountains, misty lochs, crumbling crofts and ancient castles, it’s a once-in-a-lifetime journey. Move over Edinburgh, Glasgow has arrived. Once known as ‘The Second City of The British Empire’ thanks to its major industrial contributions (everything from shipbuilding to sewing machines and thread), Glasgow is now a vibrant city with rich cultural offerings. In fact, some of the world’s best bands hail from this musical city (Primal Scream, Simple Minds, Texas, Mogwai, Franz Ferdinand, Belle and Sebastian, Chvrches, Travis…) and venues like the Barrowlands and King Tut’s Wah Wah Hut still play host to some of the most exciting up-and comers around. Plus, as you’d expect from a creative city, the vintage shops, like The Glasgow Vintage Co in the West End, are off-the-charts-amazing. Scotland’s landscape will take your breath away. Seriously, the hiking in Scotland is some of the best you’ll ever get to experience. From the highest peaks of Sgurr Choinnich Mor to the craggy terrain of Bidean nam Bian (those are Gaelic words by the way, Scotland’s indigenous language), it’s like being in Lord of the Rings, but this isn’t New Zealand. It just looks a bit like it. Glasgow’s actual slogan is ‘People Make Glasgow’ because the people are so goddamn delightful. They love a chat. It doesn’t matter if it’s pouring with rain and you’re without an umbrella, a true Scot will want a chat regardless. And once you let on that you’re from overseas, just try to get out of a pub without at least one person reciting a Robert Burns poem to you. Go on, we dare you. Did you know that Scotland is one of the world centres of cashmere? It’s been producing soft garments from goaty tummy hair since the early 1800s and sees no signs of slowing down (it’s three times more insulating than sheep’s wool, you know). The best part is that there is so much of it that you find cashmere bargains in Scottish vintage and charity stores all the time – we’re talking jumpers for AUD $25, guys. You reckon Game of Thrones is all hyperbole? Surely things weren’t ever that mental, right? The history of Scotland is drenched in blood, lies and betrayal – any visit to a Scottish castle will teach you that. At the National Wallace Monument in Stirling, hear how William Wallace (of Braveheart fame) was executed for treason by being hanged and then while still alive, emasculated, disembowelled (he got to watch his bowels being burned, which is really just absolutely bonkers) then finally beheaded. His body was then cut up (because why not?) and his severed head and limbs were displayed on various public monuments across the UK to put the fear into any other folk looking to rebel against the English. Welcome to Scottish history, friends. Fancy visiting the real Diagon Alley? That’ll be Victoria Street in Edinburgh, then. Or the bridge to Hogwarts? The Glenfinnan Viaduct (you can even take the Hogwarts Express across it. We kid you not. Scotland produces some of the world’s best seafood, including lobster-like langoustines; creamy, cooling oysters of the Gods and of course, incredible salmon. Scottish berries are also often considered the best on earth – strawberries, raspberries and brambles (‘blackberries’ to non-Scots) are particularly sweet and juicy. Pair them with some thick, yellow Scottish cream and you’re laughing (no thickener needed in this stuff; the cream here is fat-rich and ready to rumble). Don’t fancy self-catering? Check out Inver in Argyle for locally foraged food from a former Noma chef, or Alchemilla in Glasgow for fresh, Scottish produce with a Middle Eastern bent (confit pheasant and radicchio salad, anyone?). Scotland already has some incredible museums (Glasgow’s Kelvingrove Art Gallery and Museum and the Zaha Hadid-designed Riverside Museum, and Edinburgh’s Scottish National Gallery of Modern Art being three of the best) but as of mid-2018 it becomes host to the V&A Dundee – the only Victoria and Albert Museum outside of London. You didn’t expect this one, did you? Well it’s true. Scotland has regularly ranked highly in competitions looking for the world’s best beaches (Traigh na Teampail on Harris and Sandwood Bay in Sutherland in particular). Think clean, clear turquoise waters and pure white sand. And nobody else around. Sure, they’re not the warmest waters in the world, but that’s what makes them so peaceful. And you wouldn’t be a true Scot if you didn’t take a wee dook (dip!) under that cool, crystalline sea. Be brave(heart) – dive in.